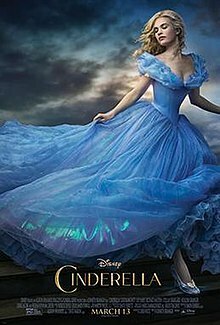 Cinderella is about as classic as a fairy tales get, so it wasn't really surprising to me when another Cinderella film adaptation was announced. It got me thinking, though, of all the Cinderella adaptations out there, which ones are the best? This one has nostalgic value for me, and I've always liked the extra songs that aren't in the Disney version. Though it's cheesy, I think I'l always have a soft spot for it. I think I'll always think of this dress when I think of Cinderella's famous ballgown. 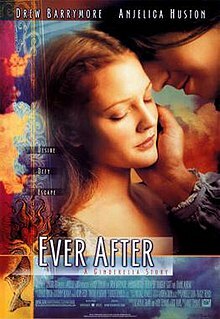 While I prefer other versions over this one (the king's temper bothered me, even as a child) I have to admit, this version will probably always be the most influential Cinderella film out there. A cute, if rather uninspired modern adaptation. I'm not sorry I saw it, but it's not one of my favorites. I've never been a huge fan of Brandy's voice, but Ms. Houston more than makes up for it. Amanda Bynes was never very high on my list, but I thought this adaptation was cute enough. Jennifer Coolidge is a fantastic wicked stepmother, but unfortunately I didn't find much else to like in this adaptation. This one is hands down my favorite. I love everything about it, from the costumes, the acting, the script, and especially the gypsies. And the spectacular wickedness that is Angelica Huston. I will definitely be seeing this (it comes out in just a few days) and will let you know how it ranks. I already give it points for its cast, though I'm really disappointed in Cinderella's ballgown. We'll see how it goes. What are your thoughts? Do you agree with me? What's your favorite Cinderella film? Holy crap! I knew there were a lot of adaptations but I didn't really realize how many. Sheesh! The new one looks interesting but maybe a bit cheesy? You'll have to let us know how it is. My thoughts exactly! I'm curious, but a little apprehensive. We'll have to see how this new one compares. That is a lot of adaptations! I'm really excited for the new one. The cast is awesome! I like the Whitney Houston version. It is a guilty pleasure for me. My daughter loves it too. Although I'm still not sure how a black lady and a white guy had an Asian son. Haha! Yeah, that was an original twist, for sure. I love Whitney Houston as the fairy godmother in that one, though I grew up on the older Rogers and Hammerstein version. Saw the new one. It is cheesy and cute and fun and I actually really enjoyed it, even though I typically despise cheesy. HATED the ball gown though. SO. MUCH. TULLE. Blech. I hear you your ball gown hate. Even the preview's split second showing of the ball gown was enough for me to wrinkle my nose. Glad to hear it was cute though. I keep hearing good things!